Welcome to my home on the web, Dear Readers. What is true is that words are not static. We read, we invent. and other extra, tasty, tidbits. click here to find out where to pick up your copy today! Spheres of Disturbance has been chosen as a Finalist in the Oregon Book Awards. Come share in the excitement at the Awards Ceremony, April 13, 2015. Please join me at the Lake Oswego Library on April 21st. I'll read from my novel, and answer reader's questions. See more details here. And read Anndee Hochman's thoughtful piece Trigger Unhappy about "trigger warnings" and art, specifically using Spheres of Disturbance as a jumping off point. including excerpts from my novels and poetry, with audio and video readings from Spheres of Disturbance click ﻿StoriAd﻿. You can also request a Review Copy from them! By turns, haunting, edgy, sensual, and cunning, the story of how Helen’s impending death from cancer affects the living is a tumble of urgency, lies, and eventually, surrender to the truth of love, and death. Amy Schutzer’s fearless novel reminds us that it is possible to deny the reality of death—but at a steep cost: the inability to truly receive and offer love. 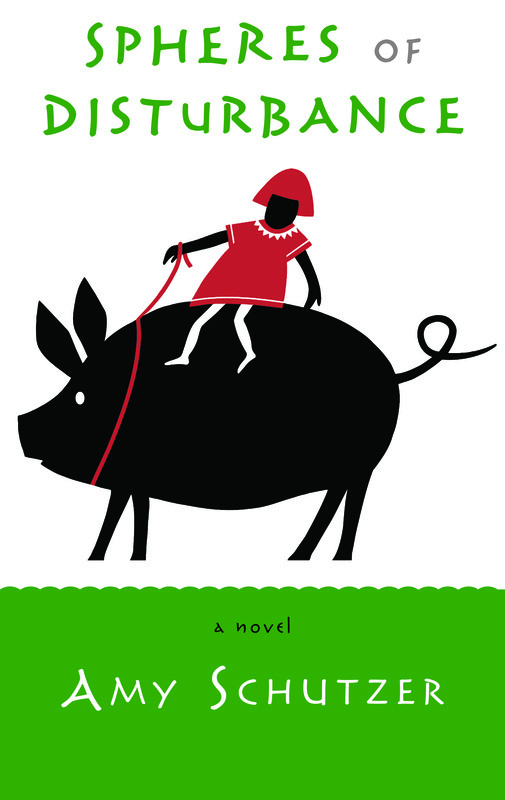 Her characters—mother and daughter, sisters, lovers and a gravid pig named Charlotta—are squarely rooted in this world, a place of curdled promises, empty lies and history twisted to benefit the teller. The only hope in such a world—and in Schutzer’s brave book—is to face both life and death with open heart and unblinking eyes. Sign me up to receive news about Amy Schutzer, including announcements about books, events, and promotions.